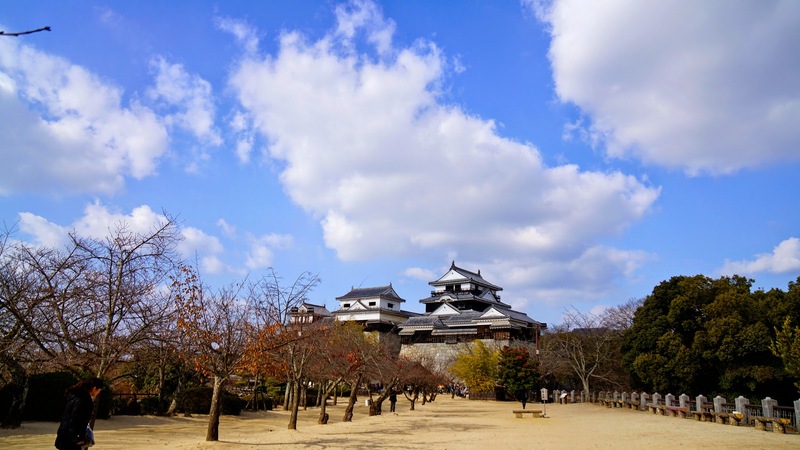 I traveled to Matsuyama, the capital of Ehime Prefecture, for 4 days and 3 nights. The main purpose of this trip was to watch Yuru-chara Grand Prix 2016 on the last 2 days. My favorite Milan, which is the mascot character of Ehime Prefecture, did not participate in the contest, but entertained other local mascot characters and the audience as a host of the event with Barysan, Imabari city’s mascot character. I also participated in a PR event for the Grand Prix and did some sightseeing. 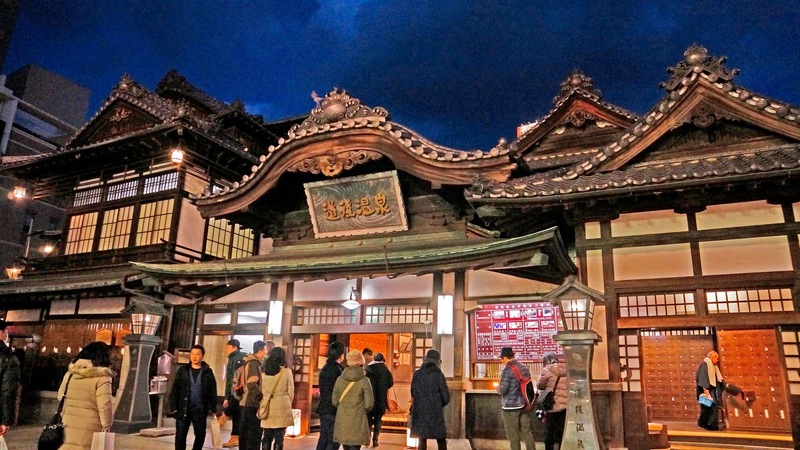 In this article, I will write about Okaido (Bansuiso Villa and Saka no Ue no Kumo Museum etc.) as part of Day 3. After the first day of Yuru-chara Grand Prix 2016, I went to Bansuiso Villa and Saka no Ue no Kumo Museum at Okaido and took night view photos around there. To begin with, I visited Bansuiso Villa. Bansuiso Villa is a French-style château, which was built in 1922 as a second home for Count Sadakoto Hisamatsu, a descendant of the feudal lord of the Matsuyama Domain. Here are some photos of Bansuiso Villa. Then, I visited Saka no Ue no Kumo Museum. “Saka no Ue no Kumo” (Clouds Above the Hill) is a Japanese historical novel by one of Japan’s leading novelists Ryōtarō Shiba. The novel is partly set in Matsuyama and the museum is related to it. This triangle shaped museum was designed by architect Tadao Andō and visitors see its exhibits while moving along slope. The entrance and information centre was on the second floor. The hall in the center part had an open ceiling space. There was a cafe on the second floor as well. I moved forward along ramp. This area showed pictures taken in Meiji Era. Now I reached on the third floor. Slope to move up to the fourth floor. This is one of the exhibitions rooms on the fourth floor. This was the final exhibition room. Now the sun went down and I took night view photos around Okaido area. First, Bansuiso Villa. The villa was illuminated in the evening. Saka no Ue no Kumo Museum was also light up. I came to the intersection of Okaido Ichiban-cho. The entrance of the shopping arcade. 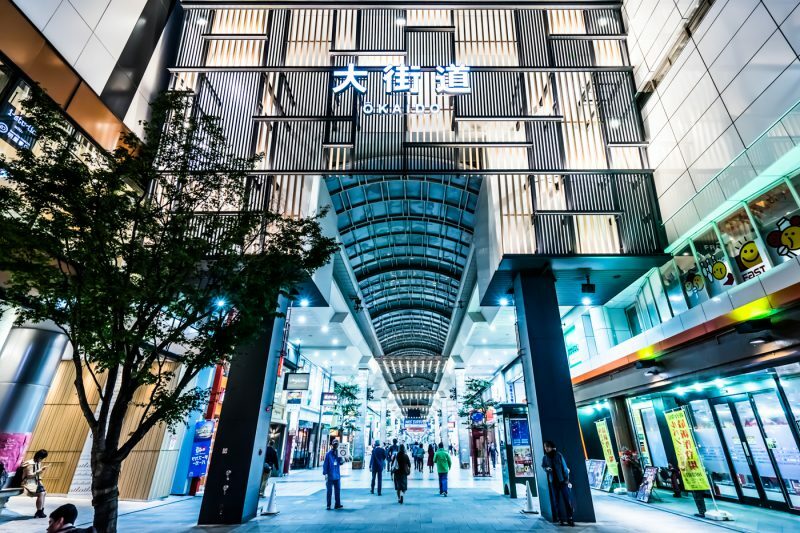 Okaido is the biggest entertainment area in Matsuyama. I had a dinner at Yoshi. I oreded Tai Meshi (steamed sea bream). After dinner, I took several snap photos. In the next article, I will write about Yuru-chara Grand Prix 2016 2nd day as part of Day 4.